It looks like the Laurel diner (now the Tastee) goes back quite a ways. I’ve found newspaper records of it going back to 1934, when three men an a woman tried to kidnap one of the waiters. The Laurel diner has also had a liquor license going back as far as September of 1939. I’m fairly confident this is a drawing of the actual diner and not just period clip art. Assuming that’s the case, can anyone make an id or at least a guess as to manufacturer, if it dates from a 1934 or a bit before? 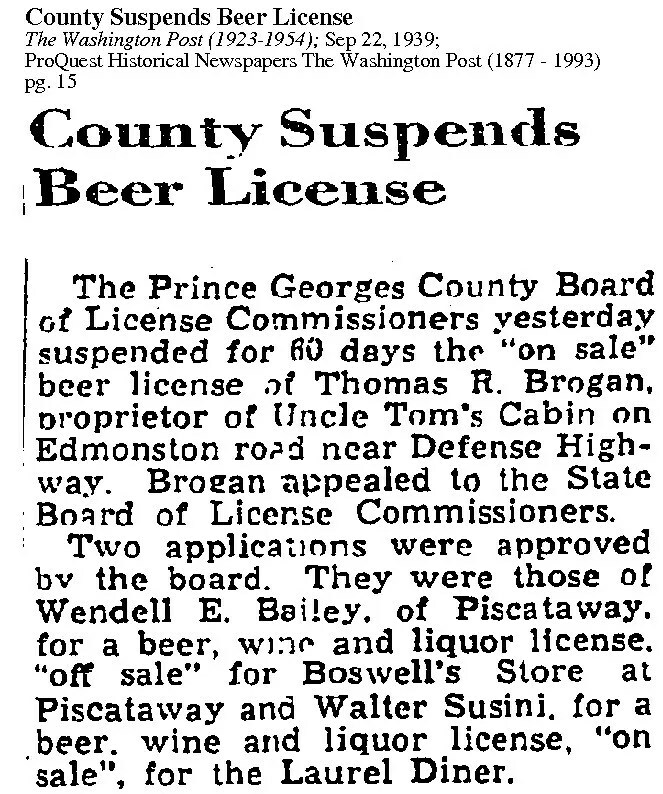 This entry was posted in Comac, Diners / roadside related, Diners/ restaurants and tagged Bar, beer, kidnapping, Laurel, Laurel Diner, liquor licence, Maryland, MD, racetrack, robbery, T.D. Lounge, Tastee Diner by Spencer Stewart. Bookmark the permalink. My best guess is that this is a Tierney or O’Mahony from the 1920s and that the doors on the ends and the stuff along the roofline was added later. I never saw a roof like this direct from the factory, but it was very common for owners of older, barrel roof diners to hide it with signage. Even then, you had to “look new”!